As I have said before, my family seems to have a veggie phobia. Even Ron, if given a chance, could go days and days without a veggie passing his lips. 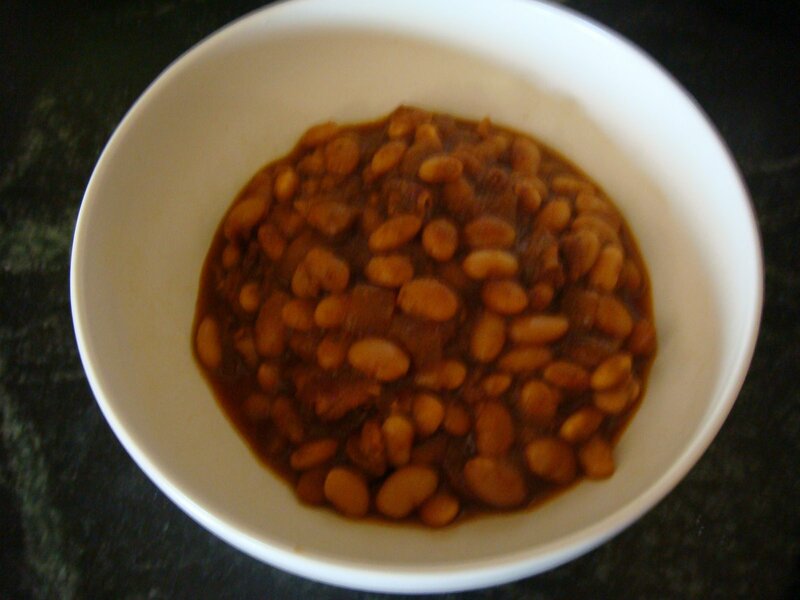 Today I had decided to make baked beans. We really like these. I make them from dried beans and do it in the crock pot all day. They are really, really good and they don’t have any non food ingredients i.e. preservatives etc. Typically we like them with, what else, wieners (yes, I get the hypocrisy of that). This is my point, not a healthy meal. Yes, there is onion in there but that is it for any veggies with this meal. Beans are great for you but there should really be another vegetable included in dinner. But I know my family. If I were to make a salad as a side, so we could get in our leafy greens, it would go largely untouched. My solution? Put the salad in the beans. Gross hey? It wasn’t. I pulled out my food processor and packed it full of fresh spinach and pureed it so it was smooth. I put it in the crock pot at the beginning of the day. Ya sure, spinach is much better for you if you eat it raw. I probably cooked out a lot of the nutrition in it but not all I am sure. So how was it? Really good. You couldn’t tell by looking at it and you couldn’t taste it. I let Ron eat a whole bowl before I told him. If I had told him first there would have been some problem with it that he would have attributed to the spinach. When I did tell him he did admit that he couldn’t taste it. I would post my recipe but I don’t follow one. And honestly this wasn’t my best batch. I got a little heavy handed with the apple cider vinegar. It had nothing to do with the spinach. Anyway, I am really pleased that I was able to sneak that in there without being able to taste it. I am going to try doing this with other dishes now (sorry honey, it’s cause I love you!). I’ll keep you posted! Kim! You have to check out Deceptively Declicious. It’s a wonderful (so I’m told) that has a ton of recipes and they all include vegetables. You can check it out on Amazon. I think it’s like 25 bucks but I’ve heard from A LOT of my friends that all the recipes are really good and healthy and you can’t even taste the vegies. I think you would love it!